Essentials always stocks the normal black styler, but every so often GHD release special/limited colours etc – so this page will depict the latest collection that we have on sale. The GHD V gold classic styler has been dressed for winter, with a bespoke arctic gold finish. Featuring advanced ceramic heat technology and smooth, contoured plates, the GHD V styler gives ultimate shine with effortless styling. 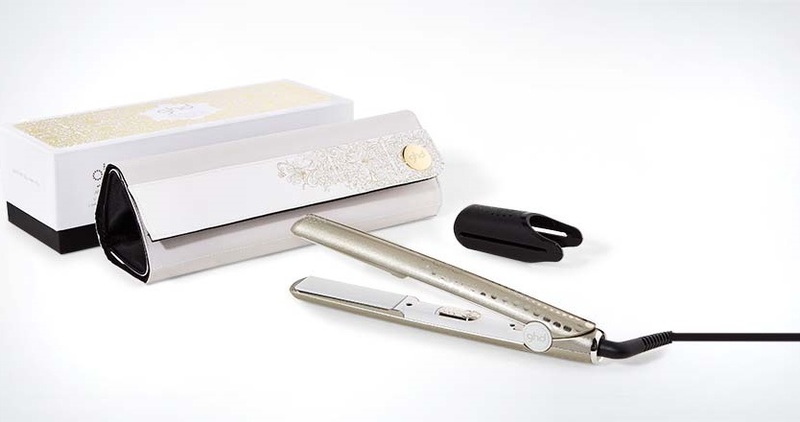 Smooth white plates make straightening on all hair types easier and quick, while contoured edges help to create perfect curls and waves, with a high-shine, salon finish. Each GHD V styler gift set contains a limited edition GHD arctic gold V styler, co-ordinating heat mat and roll bag and arctic gold gift box. Get wrapped up with the GHD V styler gift set.